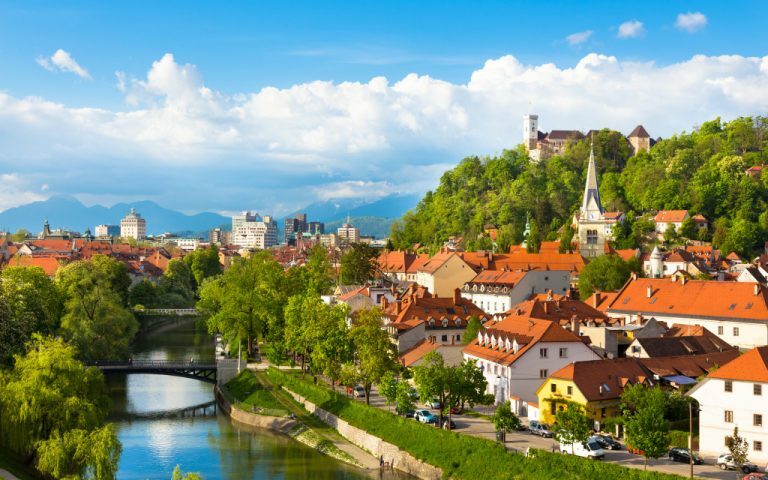 What little Slovenia lacks in size it certainly makes up for with natural beauty, historic sights, opportunities to connect with nature and friendly people. With a population of just over 2 million people, Slovenia is a country where you can easily escape the crowds to enjoy the stunning natural landscapes in peace but if it's company you seek, almost every village has its own lively Gostilna, a place where the locals get together to enjoy some locally made wine, eat some seasonal produce and talk about the latest gossip. It's often said that Slovenia represents Europe in miniature. The comparatively small capital city, Ljubljana, is the perfect combination of old and new: the medieval old town contrasts with the early twentieth century Ljubljana created by Jože Plečnik, the architect whose name all Slovenians are familiar with. A modern glass funicular connects the old town with Ljubljana Castle which guards over the city from its elevated position: the views over the city to the snow capped Julian Alps is unbeatable. 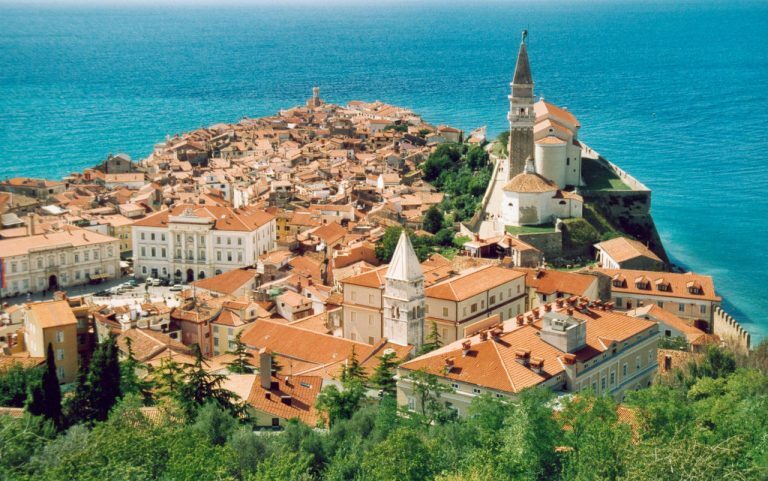 Its coastline is short - just 46 kilometres - but it is home to historic Venetian towns (one of them - Piran - enjoys UNESCO protection), a bustling city and port, and lively holiday resorts with excellent facilities and accommodation. Inland, the limestone caves at Postojna and Škocjan are among Slovenia's most popular tourist attractions: visitors ride on a miniature train through the many kilometres of caves, passing by magnificent stalactite and stalagmite formations that have been created over centuries by water slowly dripping through the limestone rock. North of the capital the Julian Alps - the final peaks of the mighty European range - are home to some excellent ski grounds and two of Europe's most stunning destinations - Lakes Bled and Bohinj. 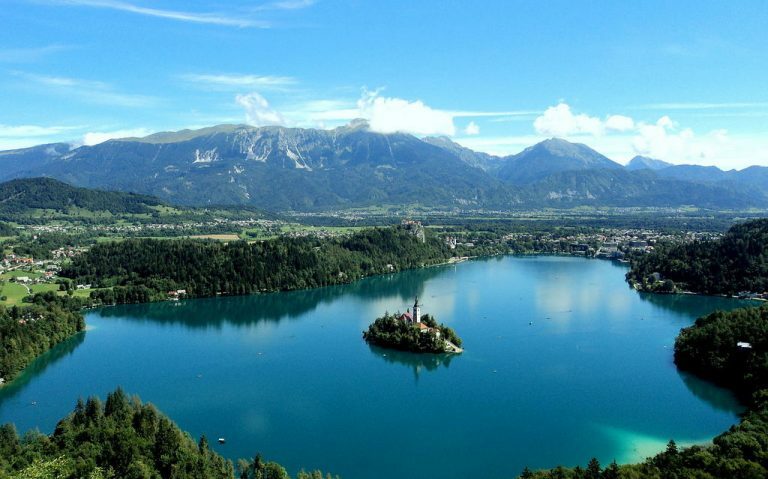 Lake Bled is home to Slovenia's only island - a tiny teardrop shaped island just big enough for a tiny church; the town is developed for tourism and attracts visitors year round. Bohinj on the other hand is bigger and wilder; it's hugely popular with cyclists and hikers but it's much less built up than its smaller neighbour. Over in the east of the country you'll find Maribor, Slovenia's bustling second city. Maribor was the European Capital of Culture in 2012; when Slovenia was part of Yugoslavia, Maribor was the industrial heart of the federation but it fell on hard times after independence. 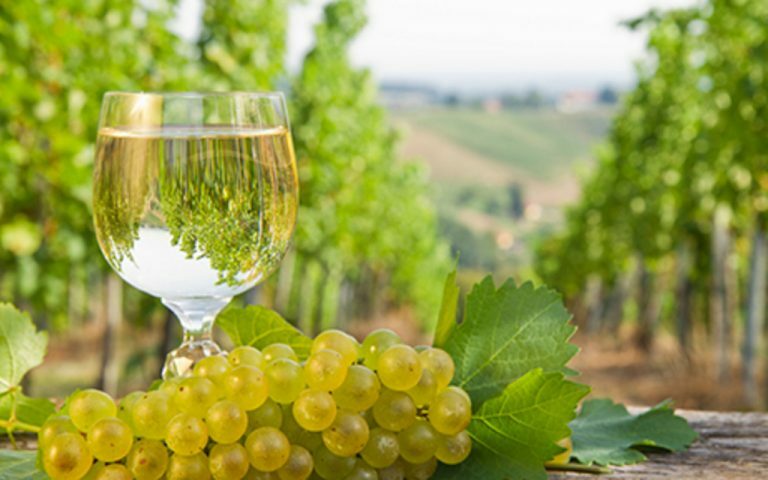 The city has now re-invented itself as a thriving destination for arts, sports and culture lovers, and the city boasts the world's oldest producing grapevine, the Stara Trta. Moving further east is Ptuj: the charming town is Slovenia's oldest settlement. 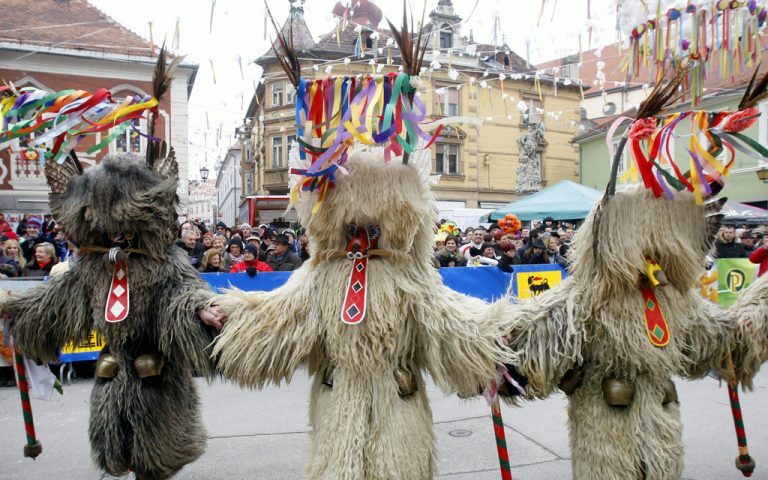 In February it hosts Slovenia biggest Carnival celebration: the Kurent parades are the tradition way of seeing off the winter and welcoming in the spring. Further east again the land becomes flatter as the Hungarian border beckons. Where there are hills they are gentler and usually covered in grapevines. If you're of a certain age you probably drank your fair share of Ljutomer Rizling in the 1970s: this is where it was produced. We've only scratched the surface here: Slovenia has lots more fascinating towns and unforgettable landscapes to explore. Come and join us and explore Slovenia the best way you can - on two wheels!